Aric Almirola captured the checkered flag Sunday at Talladega Superspeedway. Almirola took the lead in overtime and held on for the victory at the 1000Bulbs.com 500. Clint Bowyer placed second while Ricky Stenhouse Jr. finished in third. 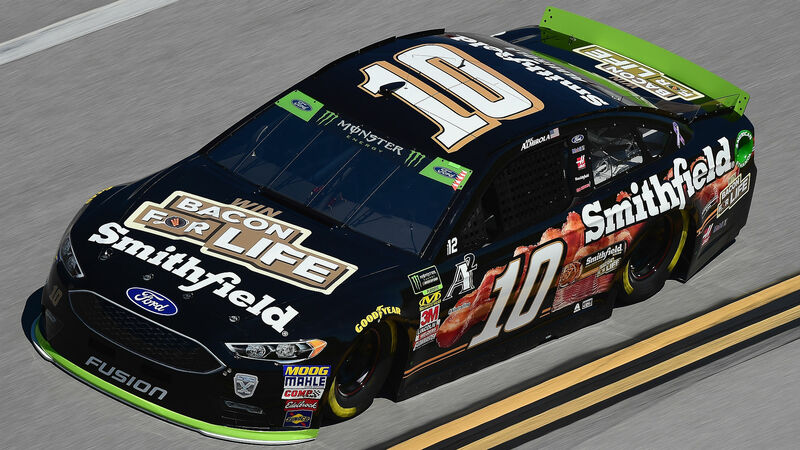 The win was Almirola’s first of 2018 and guarantees him a spot in the next round of the NASCAR playoffs. Welcome to the Round of 8, @Aric_Almirola! The race went into overtime after Alex Bowman was involved in a late crash. Alex Bowman crashes at Talladega. Kurt Busch won Stage 1 while Kevin Harvick followed with a Stage 2 victory. Busch ran out of fuel on the final lap and claimed 14th place.